There is a major problem with looking at evil. 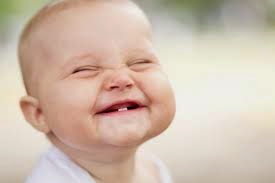 When we look at a happy infant we smile, and feel really soft. When we look at toddlers wobbling down the street, we smile as we share their joy. What we see, we feel. And this is the problem with looking at an evil person's face. A person's face expresses that person's inner feelings. Then, when we see those expressions on his face, those feelings come to us. If we would be sensitive enough we would feel a complete stranger's desires just by seeing his face. Also, as time goes on, the way a person most often feels, wrinkles his face accordingly. This means if you are usually negative, your face will wrinkle down. The corners of your mouth will tilt down making you look negative even when you are not feeling negative! A person who is usually happy will get wrinkles that lean up, almost like twinkles around his eyes. Even when that person is not particularly happy, he will have a happy face. Nasty feelings make nasty wrinkles. Judgmental feelings make judgmental wrinkles, and on, and on. Look in the mirror and see what feelings have wrinkled your face. So, what are we to do? If we look at faces, we internalize their feelings. If we do not look at faces, we will not know what we are to fix. Try this. Just notice who is around you without gazing at their faces. If there is a message there, you will get it right away without having to internalize their feelings. Then, as you go through your day, see if you can make happy, positive wrinkles in your face.